The Academy high school provides a small learning community where students are engaged as thinkers and learners. Students are provided with opportunities to pursue their passions and grow their character. Our faculty not only attends to what our students want to do, but who they want to be. 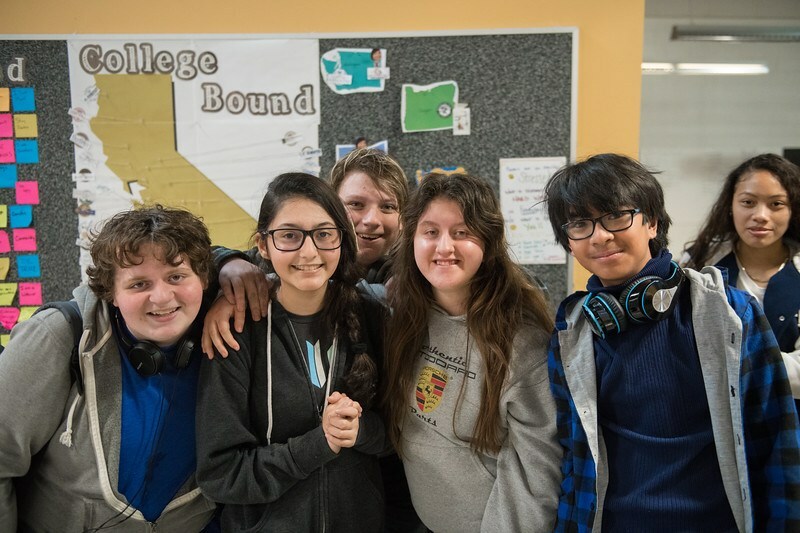 We are currently accepting applications for students entering 9th through 12th grade for the 2019-2020 school year. Enrollment for the current school year are accepting on a rolling-basis, as space permits. Visit The Academy: We recommend attending a Campus Tour to learn more about our program, curriculum and enrollment process. Campus Tours are scheduled weekly. To make a reservation, please contact Crystal Day at 562.283.4456 or crystal.day@academylongbeach.org. Submit an Enrollment Application: Complete an online application to start the enrollment process. Enrollment is limited to 56 ninth-grade students with some space in the transfer grades (10th through 12th). Enrollment will be processed on a rolling-bases, as space permits. Notification of Admission: All applicants will be notified on enrollment within a few days of receiving an application. If a waitlist is populated, applicants will receive a waitlist number. If granted a space at the Academy, families will have one week to return all enrollment paperwork to secure the spot. If you have any questions, please contact our front office at 562.283.4456.